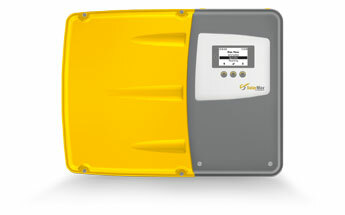 The SolarMAx inverters of string or central proposed by heliosolaire can cover all photovoltaic projects such as residential, professional buildings, farms or a megawatt solar power plant on the ground. 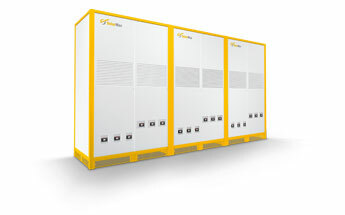 The SolarMax photovoltaic inverters manufactured in Switzerland enable the direct current produced by the photovoltaic modules to be converted into grid-compatible alternating current in a reliable and efficient manner. Sputnik Engineering has been designing, producing and marketing photovoltaic inverters under the SolarMax brand for 20 years. In addition, the SolarMax inverters have been rated A + in terms of efficiency and reliability by the laboratory tests initiated by Photon. In addition to the photovoltaic inverters, there is also a range of communication and monitoring solutions for photovoltaic systems as well as sizing and communication software. 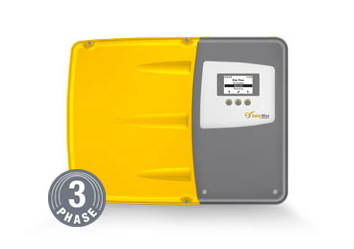 SolarMax fiche technique serie P.pdf The SolarMax P series inverters are designed and optimized for residential photovoltaic systems up to 6kWp. With a yield of up to 98%, the inverters of the P series are highly reliable, high-quality photovoltaic equipment. Free, the MaxView application allows monitoring of the solar installation remotely and from anywhere. Finally, the P series inverters are directly connected to an Internet router using a Plug & Play system for simple monitoring optimization. Fiche technique Solarmax serie TP.pdf The SolarMax inverters of the TP series “Custom Tracker” are ideal for roofs with an East-West orientation. The solar photovoltaic system can thus be dimensioned optimally according to the consumption profile of the fireplace. Simple connectors the TP series can be installed very easily by allowing the data to be read from an external meter, in order to control the electrical devices intelligently. Finally, the inverters of the TP series are directly connected to an Internet router using a Plug & Play system for simple monitoring optimization. SolarMax fiche technique serie MT.pdf The SolarMax photovoltaic inverters of the MT series are tested by Photon and have yielded a 97.5% efficiency plus equipped with Multi-Tracking technology which allows the optimization of photovoltaic energy production of the roof according to the shading. Also an innovative cooling system directs the heat out of the box with more efficiency, reducing the phenomenon of aging of the electronics. The inverters of the MT series are lightweight and compact, which facilitates the wall installation of the equipment in residential. 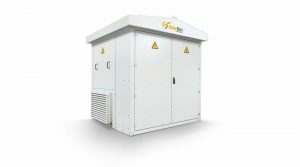 Fiche technique SolarMax serie HT.pdf SolarMax inverters of the HT series are the ideal solution for solar installations of industrial sizes. 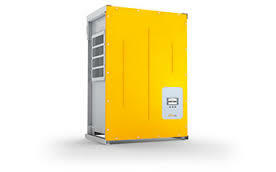 The inverters of the HT series are available in several versions with 4 or 2 trackers for power of 30 or 32 kW. Equipped with Multi-Tracking technology the latter allows the optimization of photovoltaic energy production of the roof according to the shade. Also, the free Maxport Webportal allows installation monitoring in a simple and remote way. 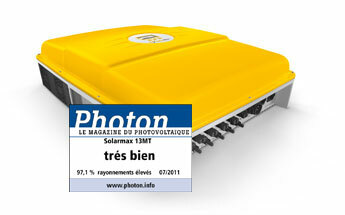 fiche technique-solarmax-TS-SV-serie-FR.pdf The TS-SV series inverters are high-quality inverters with a yield of 97% and an MPP efficiency of 99.9%. 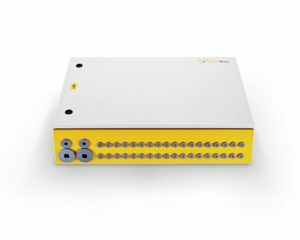 the production information is easily accessible by means of the MCU control and control unit and remotely via the MaxComm communication system via the RS485 or Ethernet interfaces. The SolarMax inverter warranty can be extended to 25 years and a subscription to MaxControl services is possible in order to benefit from monitoring support and the management of equipment alarms by SolarMax. Fiche technique SolarMax serie RX.pdf The SolarMax RX-series photovoltaic inverters with 4 independent MPP trackers are robust and efficient, allowing optimum performance of large-scale installations. 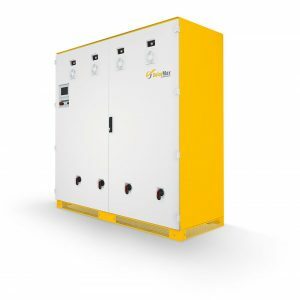 The RX inverters are designed to improve the efficiency of the unit with four independent power units (125 kW, 133 kW or 150 kW), each with its own MPP tracker. The inverters of the RX series are also recognized for their robustness and suitable for outdoor mounting with its IP 54/44 enclosure. Combined with TS-SV inverters, the SolarMax Compact Station TS-SV series is a complete outdoor solution at optimized cost for large photovoltaic systems up to kW. A TS-SV Compact Station consists of two TS-SV inverters and one Master Control Unit (MCU) and can be used with three power stages. TS-SV inverters can be used with either a single MPPT partial load and fault management), or with three independent MPP trackers (multi MPPT). Fiche technique MacConnect plus.pdf MaxConnect plus is a junction box to collect the different branches / strings of your photovoltaic generator. the MacConnect plus cabinets are fully electrically protected by fuse doors and integrated high-power circuit breakers allowing you to shut down the installation at any time and safely when needed.